Here’s a confession: I rarely eat salad without a main course and I’m not really used to it. 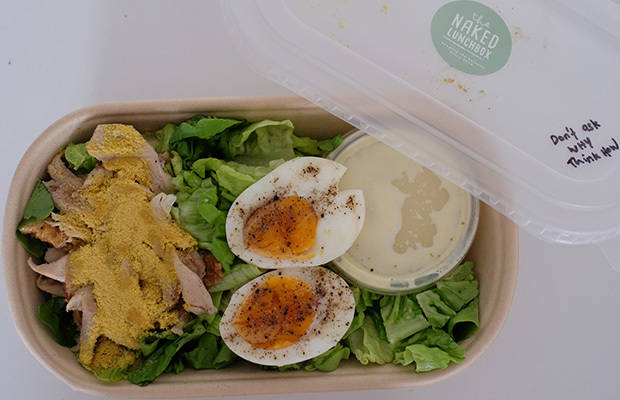 However, The Naked Lunchbox sparked my curiosity as they offer salads in a way that could entice picky eaters like me: they’re rich in dressing and non-veggie ingredients like chicken or egg. I decided to give them a try and see if I could ignite any love for salad when it’s eaten on its own. 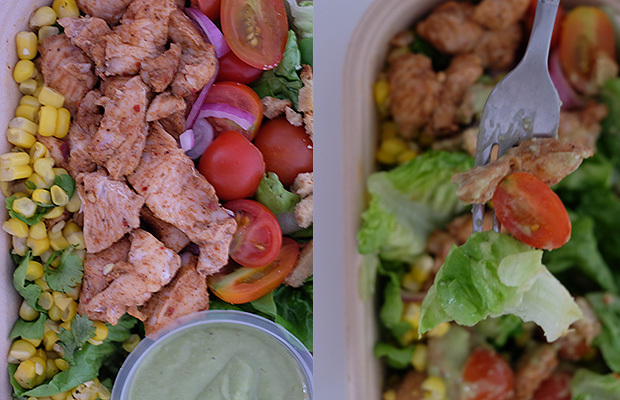 The best thing about their salads is that not only do they cater to health concious people, but also people with strict dietary needs. There is no added sugar, no artificial sweeteners, and no softeners or preservatives. The salads are available in raw, paleo, vegan, gluten-free, low sodium and dairy-free options. What sets them apart is the fact that there’s a personalised quote on each lunchbox. 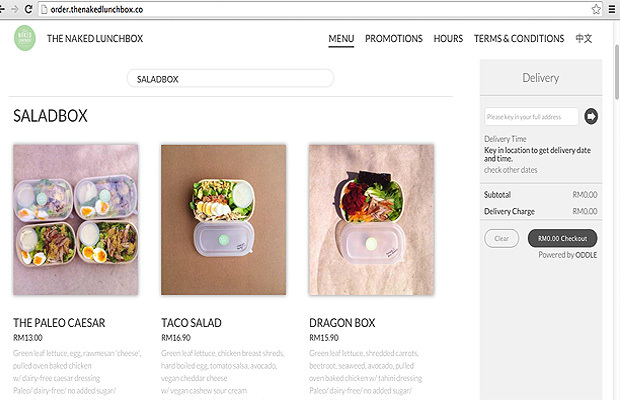 I ordered three salads from the ‘Saladbox’ menu: The Paleo Caesar, 1930s Cobb and Taco Salad. 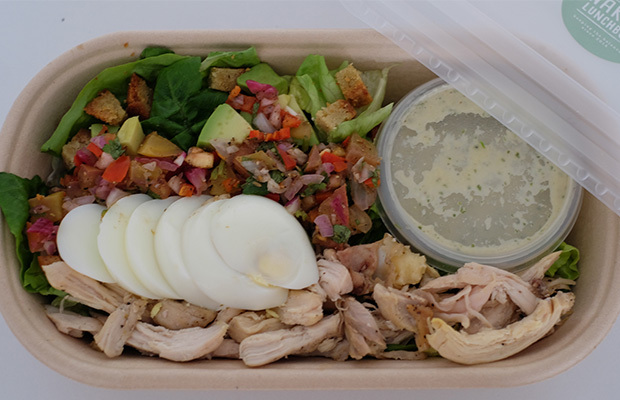 On the Paleo Caesar box, there’s a quote that says “Don’t ask why, think how”. On the second salad, it says “Be grateful for what you have” while the quote on the third salad says “Be kind”. That surely puts a smile on my face. Delivery was 30 minutes early than expected and I absolutely love how simple yet earth-friendly the packaging was. 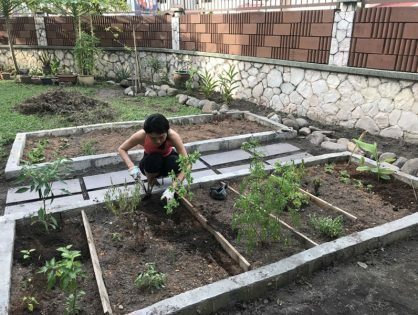 I was surprised how filling the salads were on their own, even when there’s no main course. What is it? 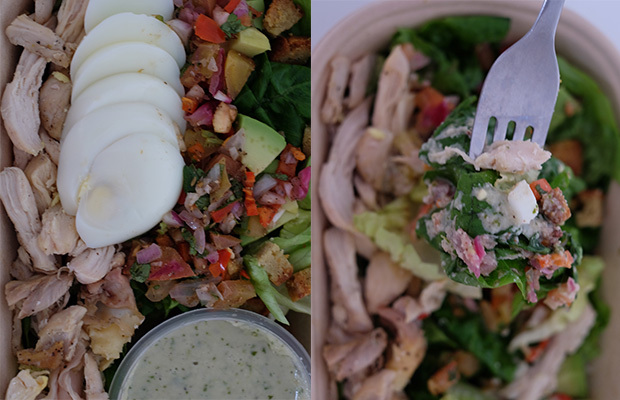 Green leaf lettuce, egg, raw parmesan cheese, pulled oven baked chicken with dairy-free caesar dressing. Type: Paleo/ dairy-free / no added sugar/ no artificial sweeteners/ low sodium. Main Ingredients: Green leaf lettuce, egg, cheese and chicken. 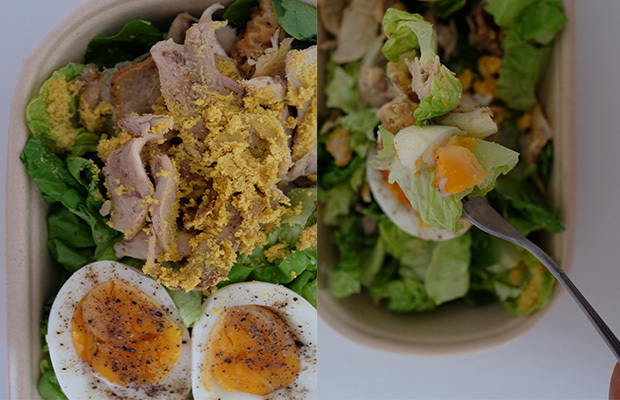 Taste: Overall the salad tastes very tangy and appetising, thanks to the flavourful dairy-free caesar dressing. I also loved how juicy the egg yolks were, and that the it has a beautiful orange hue which is normally seen in quality, free-range eggs. To me, the chicken is quite cheesy. I could taste every single thing in this salad, in a natural way. This is one of my favourite salads. What is it? Green leaf lettuce, steamed corn, raw red onions, cherry tomatoes, vegan cheddar ‘cheese’, spiced baked chicken breast with avocado cream dressing. Type: dairy-free/ no added sugar/ no artificial sweeteners/ low sodium. 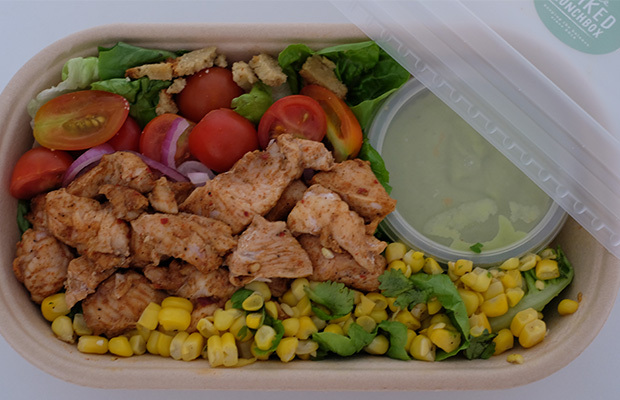 Main Ingredients: Leaf lettuce, corn, red onions, cherry tomatoes, cheddar ‘cheese’ and chicken breast. Taste: My first impression of this salad is how colourful and appetising it is. The salad is crunchy and fresh and tastes delicious when paired with the creamy and flavourful avocado cream dressing. Aside from the dressing, a lot of the flavour comes from the lean and tender chicken breast, which is well-marinated with a tinge of spiciness. 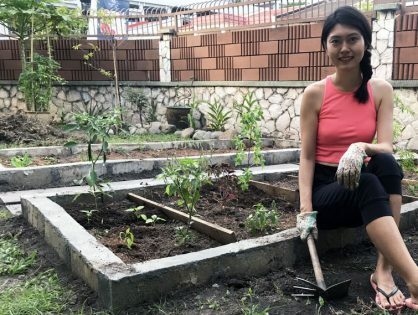 I also like the succulent corn bits which tastes sweet and fresh (unlike those in frozen bags of mixed vegetable which, to me, tastes rather bland). What is it? Green leaf lettuce, chicken breast shreds, hard boiled egg, tomato salsa, avocado, vegan cheddar cheese with vegan cashew sour cream. Type: Paleo/ dairy-free/ no added sugar/ no artificial sweeteners/ low sodium. Main Ingredients: Leaf lettuce, chicken breast shreds, hard boiled egg, tomato salsa, avocado and cheddar cheese. Taste: In my opinion, The Taco Salad is hands-down the most flavourful salad of all three. Not only is the vegan cashew sour cream tastes delicious, the vegetables is also crunchy. Good dressing and crunchy vegetables is a perfect pairing when it comes to salad. The chicken shreds are lean and tender though I wish it had deeper flavour. However, it’s compensated by the soft croutons (which tastes similar to cookie crumble) and sour tomato salsa. 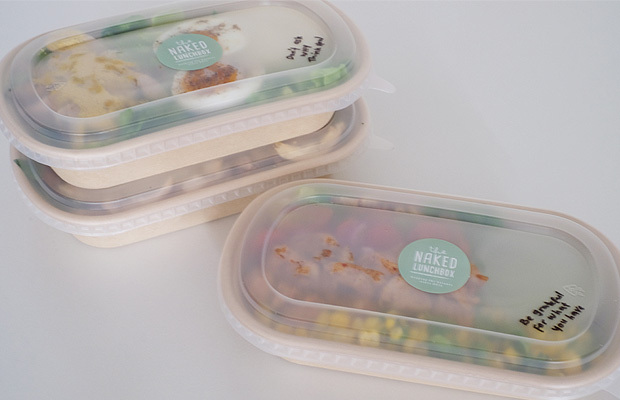 Would you order these meals from The Naked Lunchbox? 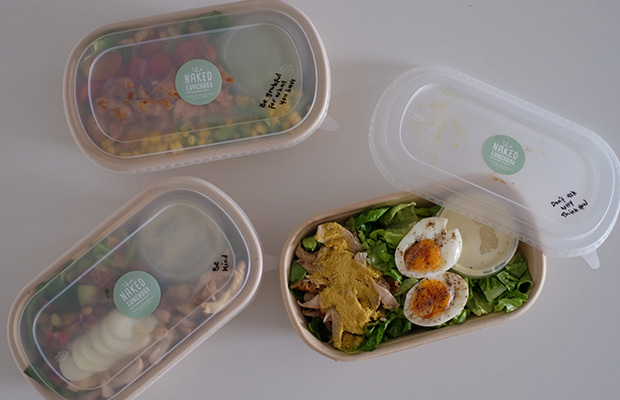 The Naked Lunchbox offers lunchboxes that contains no added sugar; no artificial sweeteners; no softeners or preservatives; have low sodium options; are raw, paleo and vegan options; as well as gluten-free and dairy-free options. Using only the freshest ingredients, sea salt and olive oil are amongst the many other premium ingredients they use. All their dressings are homemade, which means they make them from scratch!